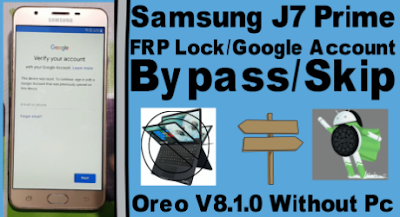 Home / videos / Samsung J7 Prime FRP Lock/Google Account Bypass/Skip On Oreo V8.1.0 Without Pc. Remove Samsung J7 Prime FRP Lock Required File. 2# Download V8.1.0 FRP Remove Apk. Remove Samsung J7 Prime FRP Lock Method. 11# This update not worked for browser. 12# Copy google account manager and quickshortcut maker. 13# Install Now Quick Short CutMaker Apk. 23# Your Phone frp lock remove complite.